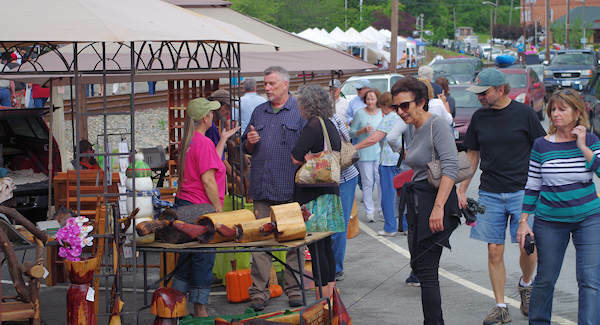 Our of our favorite small towns, Saluda, puts on a spring arts festival and rivals many that you find in the big cities. They select 80+ fine artists and skilled craftspeople mostly from western North Carolina and South Carolina. Covered tents fill several blocks of Main Street, along with plenty of interesting local businesses and delicous restaurants. The street festival is held rain or shine, 10 AM until 4 PM. All of the vendors are juried artists - so it's all top quality with an overwhelming variety of arts and crafts in all price ranges. In addition to featuring 100% handcrafted creations, the festival requires the artist to attend to interact with visitors and show their process with demonstrations. Enjoy plenty of music along the way. Many groups perform under a business porch or some trees (no big stages here). Local favorite Overmountain plays old time traditional music of the Southern Appalachians with some interesting instruments! 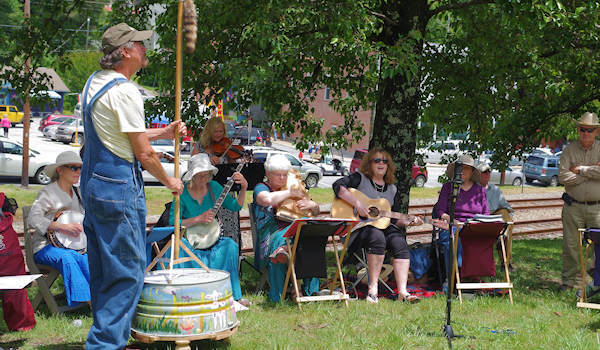 Hog Town Squealers roam around town playing their eclectic approach to old time music. Other artists present Americana, blues, folk and contemporary music. 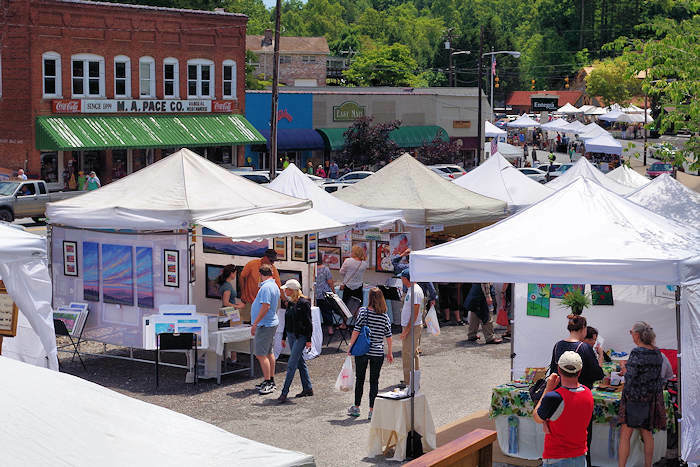 Artists display under white tents along the railroad tracks that made Saluda a popular tourist town since the late 1800s. Main Street remains open for traffic and finding nearby parking is easy. Read more about Saluda. Looking for more? 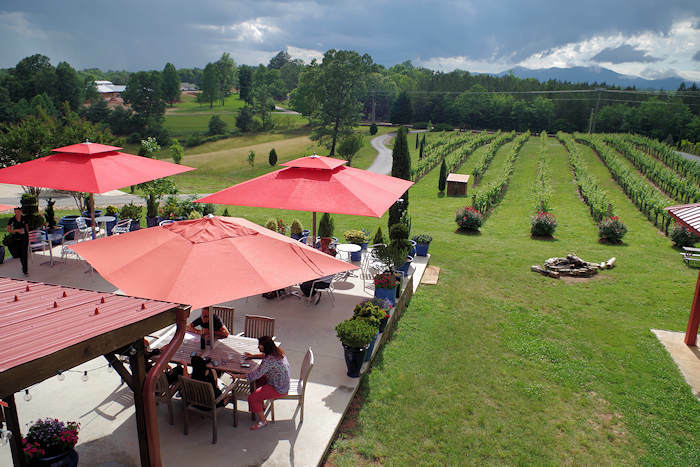 See our Top 80 Art Festivals and Shows near Asheville and our Top 40 Spring Festivals.